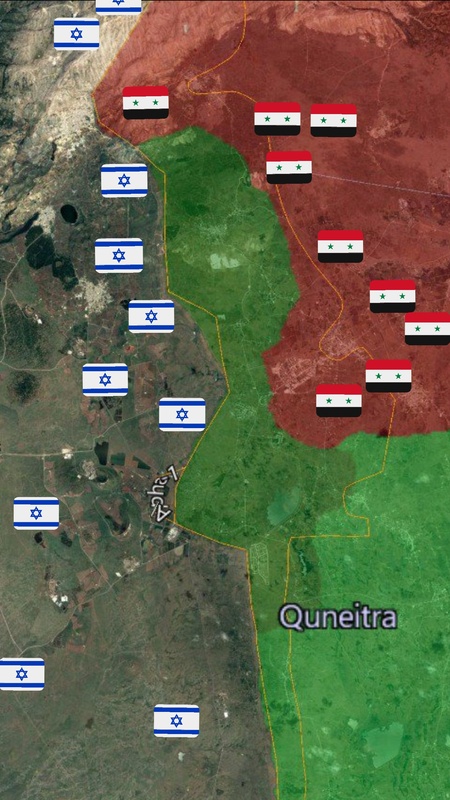 This map shows the locations of Israeli Defense Forces units and Syrian Arab Army units in the Quneitra governorate, the Israeli-occupied Golan Heights, and the UNDOF disengagement zone. Each flag icon indicates a military unit of troops manning a fixed position or military outpost/base. As fighting in the western part of Daraa governorate accelerates, it is possible that Israel becomes more involved. The IDF has already strengthened its border guard forces at the edge of the UNDOF zone with additional troops.